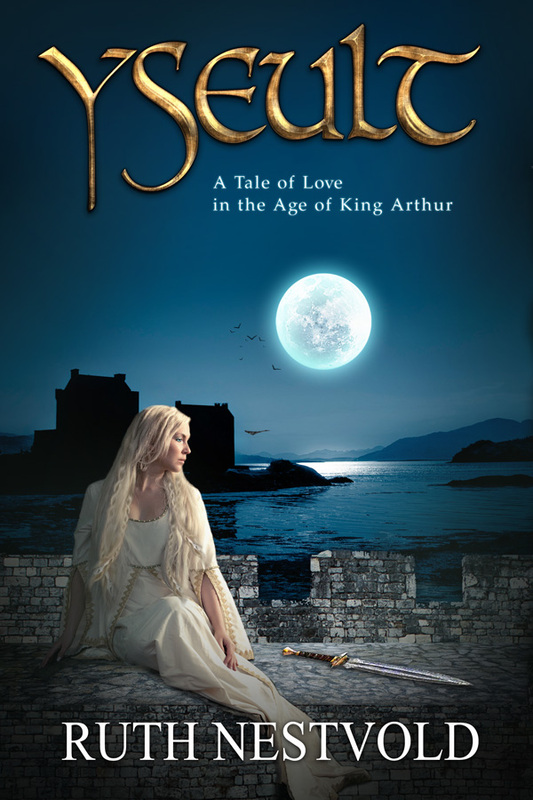 I won a PDF of Yseult: A Tale of Love in the Age of King Arthur in the LibraryThing member giveaway a couple of weeks ago. After finishing White Planet, it occurred to me that I had another e-book to read and review, so I opened up Yseult to flip through it and see what kind of a book it was. I’m usually not the biggest fan of romance, even though I love fantasy and historical books, so I wasn’t really expecting to get sucked into this book like I was. I started reading, and couldn’t stop. The book is much more than a love story. It is truly an epic, exploring the conflicts between paganism and Christianity, political maneuvering between the various kings of Britain and Ireland, the wars between themselves and with the Saxons, and a lot more. It reminded me a bit of The Mists of Avalon, although Yseult was much more fun to read. Anyway, onto an actual description of the book. Yseult the Fair is an Irish (“Erainn”) princess descended from the Feadh Ree, the original race of Ireland. She grows up in a time where Christianity is trying to make inroads into Ireland, and has already taken over much of Britain. The Feadh Ree, who were once universally respected, are even being attacked by some Gaul kings. War is everywhere, and any available peace seems to be temporary. Yseult tries to make the best of her situation, defending her home when necessary. Along the way, she meets Drystan, and falls in love with him. However, for political and personal reasons, she agrees to be married to his father Marcus, one of the Kings of Dummonia. She can never forget Drystan though, and he cannot forget her, either. Both Yseult and Drystan are well-rounded and utterly likeable characters. I couldn’t help but root for them, even as they spiraled into the unavoidable tragedy that is their story, and made decisions that I knew were going to end badly. I never doubted the intensity of their love, even though I(and they) recognised that it was a terrible idea. I’m generally pretty unromantic, and even I felt this way. But as I said above, Yseult isn’t just a love story. It’s the story of Yseult the Fair, which includes a love story, but also includes all the stories of all the other people in her and Drystan’s life – an amazing supporting cast, including Arthur and a few people associated with his story, Patriac (who I didn’t realise was St. Patrick until I read another review of this book), Yseult the Wise, Cador, and of course, Kurvenal and Brangwyn. All of them change and grow extremely believably. The religious conflicts are very well-portrayed and almost unbiased, demonstrating the inevitability of change and the futility of fighting against it. It was also very interesting to read about the political side of things, shifting loyalties, values or lack thereof and the kinds of risks taken. Yseult also sounds pretty historically accurate, and it was pretty fun to read about fifth century British and Irish civilisation and traditions. Oh, and why is this a fantasy, and not just historical? The Feadh Ree and their descendants have one or more of three magical powers, the power of knowing, the power of calling, and the power of changing. These magical abilities do not dictate the course of the story, they just help enhance it. This book is only available in English on Kindle right now (for the very reasonable price of $4.95), and I urge you to read it! The author says that she has plans to release it in paperback, and I’m definitely going to buy myself a copy when she does. This entry was posted in Books, Reviews and tagged ebook, fantasy, fiction, historical fiction, history by Kriti Godey. Bookmark the permalink.